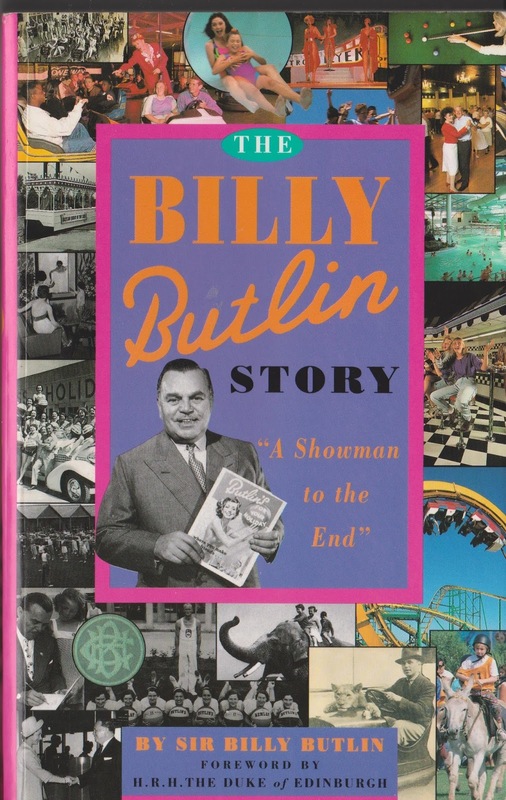 Having both worked and played at the Butlin empire, it is perhaps alarming that I did not read Billy Butlin's official autobiography until summer 2015. Holidaying at his coastal enclaves from 1999 onwards and on the payroll for the 2011 season at Minehead resort, I greeted the book from the perspective of a happy camper who got a fleeting but darn good peek at the inner workings. "I got books on history and geography from the library, and devoured any newspapers or magazines I could find." The Canadian department store Billy worked for was Eaton's and stock control was his task, going back and forth via an underground tunnel. Butlin quite literally got his skates on and shaved two thirds off the journey time, leaving him more time for reading. Rewarded for his initiative, he would soon progress through the company's leather department to the art department, an opportunity he unlocked by attending night school. It would be in this role that he got to unleash his creativity more fully, through significant press advertisement designs. Eaton's also demonstrated pastoral care for their employees through their own summer camps,with Billy's experience of them a natural and critical shaper of his future holiday empire. With a maturity beyond his years, 15 year old Butlin pretended he was 17 and joined the Canadian army. The ethos of Butlin's holiday camps had a military approach to serving and the regimentation during his time in the army undoubtedly set the tempo for hospitality en masse. Still only twenty when leaving the army and returning to his old job at Eaton's, Billy did not like seeing how his old colleagues were trapped by business as usual practices, and so decided to forge his own success in life. ...is the title of Chapter Four and describes what I call financial looseness: that often hard to articulate phenomenon in business where brand loyalty is its own currency in the greatest companies. It is where margins "take one for the team," in an attempt to create a buzz or indeed provide service recovery. For the now travelling fairground showman who had returned to England, this philosophy was his bread and butter and how he got a peg above the level peggers. Billy's approach was fittingly seaside postcard cheeky, as he'd made a mistake by over trimming his hoop-la blocks which resulted in more winners and repeat flingers, while conversely his competitors with mega blocks kept most of their prizes under lock and key but still made less money. Butlin devotes significant time to telling the unsavoury tales of the unethical stallholders: out and out conmen with zero chance of the public winning anything at all. Going against the grain, Billy injected much needed professionalism into the fairs: white coats with a "B" stitched on the pocket for him and his first ever worker Tom, to go with a fresher looking stall frontage. With his finger firmly on the should be pulse of the nation, a personal experience of being booted out of his Barry Island boarding house for the day led to Billy's killer concept. Holiday enclaves where downpours did not dampen the spirits, with entertainment, leisure activities, accommodation and food all part of the price. In Butlinese, "a week's holiday for a week's wages." While the initial business model has been somewhat diluted in recent times to more of a pay-as-you-go model, some cornerstones remain part of the inclusive holiday price, including unlimited swimming pool and funfair access, and a packed roster of entertainment. Today Guests at Butlin's three remaining resorts can - to paraphrase Burger King - have it their way: food court or premium dining and all action or adrenaline passes which separate the scaredy cats from the wild cats. Yet to Billy the idea of bolt-ons was most certainly off the agenda: in his eyes one-size fit all families, reflective of the societal status quo of the day. "Businesses like Butlin's are not built up and run on orthodox lines with every safe step, every decision being carefully calculated and safe. That is the way to dullness, stagnation and decline. All companies, particularly public ones, must be run professionally and responsibly - but there must be room for instinct, flair and vision that is not always copper-bottomed." The entertainment team with their famous red jackets remains an important stepping stone today to a career in showbiz . Stephen Mulhern was a former Redcoat and in May 2001, when he was Mr CITV, the day after seeing Stephen's show in Centre Stage I trotted down to The Avenue in Minehead and encountered a sizeable queue at his dad's magic shop. Talk about keeping it in the family ! Stephen of course is one of the most competent presenters on television at the moment, but I'm sure he will admit that he does not come close to British television's greatest ever entertainer - Michael Barrymore, who served his apprentice at the Clacton camp. The Redcoats remain the not-so-secret-sauce of getting the holidaymakers to gel: out and about, on stage and off stage, singing, dancing and acting with the Canadian Mounties inspired blazer that Billy gifted them. Dave Allen, Des O' Connor, Sir Cliff Richard, Jimmy Tarbuck and even - god love him - Ian "H" Watkins from Steps honed their stagecraft at Butlin's camps. Some of the stories in Chapter 12's "The Ladder of Fame" are iconic: Cliff met his Shadows, Ringo Starr played there with Rory Storm and the Hurricanes and resident entertainers included Dusty Springfield and Bruce Forsyth. 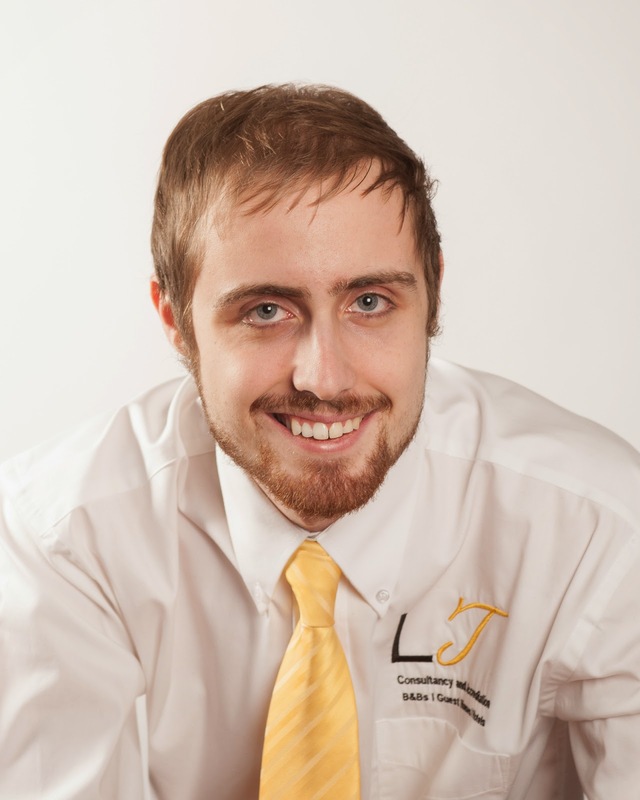 "One business philosophy I have always practised is - after deciding general policy - to personally look after the little things. You can pay people to attend to major matters, but the little things which make all the differences can so easily be overlooked or ignored." Parallels can be drawn between him and Disney once again, as he brings to life his laser focus on detail across his empire by means of an example regarding rubbish bins. Disney placed them every 30ft and Butlin gauged what is hot or what is not menu wise by his the contents of his trash cans. Billy also acknowledges that he was a right place, right time environment beneficiary: car ownership was increasing rapidly, coupled with the Holidays with Pay act legislated in 1938. Yet this wider goodness from society and government had to be married with "come what may" determination and the substance of army, fairground and childhood experiences to form a watertight business model. The Billy Butlin Story: A Showman to the End is an honest, insightful romp through the life of a man that breathed life into the British seaside. Whilst I would have liked a dash more wisdom dished out on some of the hallmark Butlin's detail elements such as revolving bars and the swimming pools which had underwater windows, this was more than compensated for with powerful just do it encouragement throughout. In many ways, Butlin is a vastly underrated entrepreneur who deserves to be on the business education agenda. In an era of commoditized industries offering the same old s*** day in, day out with a mind numbing drought of genuine points of difference, a shooting from all angles business like Sir William Butlin developed could be just the tonic to inspire the Hanna-Barbera backgrounds of the business world.